Here is an amazing and extremely generous effort by the crew at Unique Corals to help fund the fight on cancer. 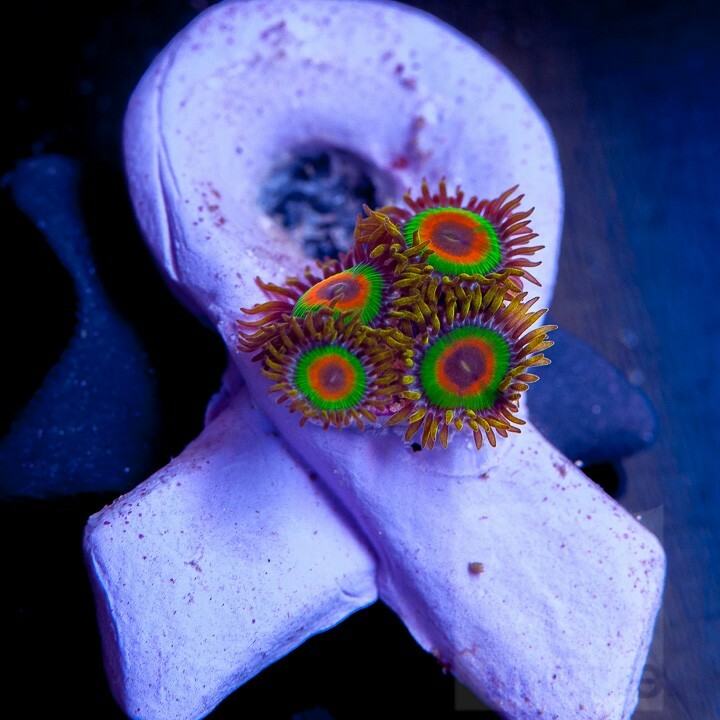 According to a touching post by Scott Fellman over on his company’s Reef2Reef forum page, Unique Corals will sell corals mounted to specially designed frag plugs designed by ReefGen’s Justin Credabel. The plugs feature the iconic cancer ribbon (in lavender), and a percentage of the proceeds from the sale of these corals will be donated to cancer research. But it’s not just Unique Corals that is getting in on the action, as ReefGen will also be making donations, along with famed coral propagators Dan Rigle and Mark Poletti. Along with this prestigious group, other propagators and vendors can get involved with this program by buying the specially designed plugs, as proceeds from the sale of the plugs will also be donated. Currently, Unique Corals has a dozen or so frags listed in the Corals for the Cure section on their website. 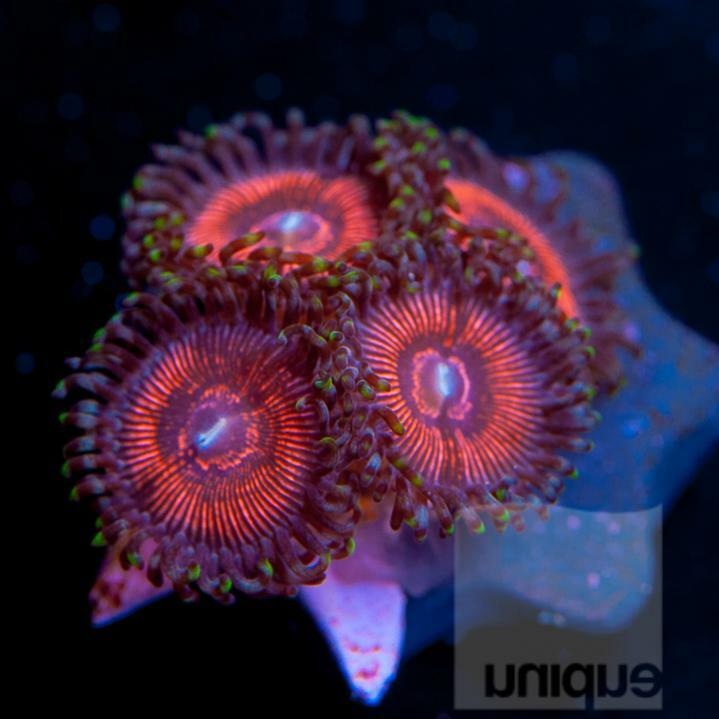 The offering includes some amazing zoas (pictured above and below) along with a few other varieties that should encompass hobbyists from all walks. So, get on over to Unique Corals or bug your local fish store to help support this amazing cause. Absolutely fantastic Gesture….Well done guys….